Why do I need travel insurance with medical conditions? Did you know that not all insurance companies can provide the right level of medical cover if you have a condition? But here at Avanti Travel Insurance, we’ll consider all your conditions. By covering pre-existing conditions with your travel insurance, you’ll be taking the right step to being properly covered. 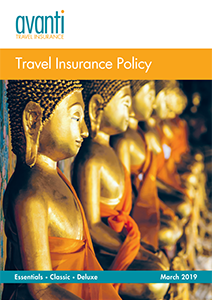 With three levels of cover to choose from, you’ll find the right policy to suit you and your travel plans. Find out how we can help you to travel with peace of mind below. When you’re ready, get a quote and pay online in minutes, or call us today on 0800 888 6195. With three options to choose from, we have a level of cover to suit every need. Here’s a summary of our key features to help you choose the best policy. If you’re after our most comprehensive package, choose our Deluxe cover which features unlimited medical expenses and cancellation cover up to £7,500. What medical conditions can we cover? 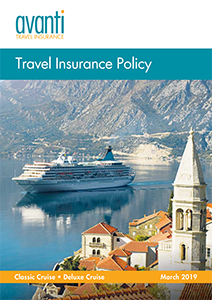 We consider all conditions to make sure you have the best level of cover with our travel insurance. A large number of conditions are also covered for free, so it’s always worth including everything you have for peace of mind. Is it safe for you to travel? NOT travelling having been given a terminal prognosis. If you’ve mentally ticked all of those boxes, then great news! You’ve passed our medical declaration. Although it doesn’t come with a shiny certificate, you will have the satisfaction of knowing that your policy is valid. But if any of the above statements aren’t true for you, then we sadly won’t be able to cover you. Adding your conditions to a policy is really easy. You can use our simple online medical screening questionnaire as part of our quote process, where you search and add all of your conditions. Or, you can call us on 0800 888 6195 if you have any concerns. As part of our medical screen we’ll ask you a few questions to make sure we understand how your conditions affect you. Even if you think it’s something that wouldn’t affect your insurance, it’s better to declare it. When can’t we offer cover? Although we will consider everyone for cover, there are unfortunately times when we can’t provide cover for pre-existing medical conditions. Where we can’t cover your pre-existing medical conditions, we will tell you and let you make an informed decision about whether or not you want to take out a policy without covering your conditions. Ready to get your medical travel insurance sorted? Let’s get you covered ready for your holiday. Talk to us today on 0800 888 6195 if you have any questions. Or, you can get a quote online in just a few minutes below. *Travel as often as you like with an Annual policy as long as the total time away does not exceed 183 days in a year.